Summer SmARTS Workshops – Register Today! 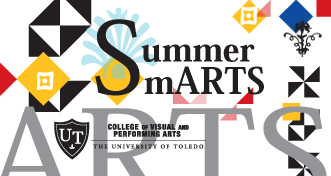 The University of Toledo College of Visual of Performing Arts is offering a wonderful way for you to engage your arts smarts this summer through Summer SmARTS, a series of nine workshops in art, voice and instrumental performance, music education and more. They are independent of one another so you can choose to take one or more, according to your time and inclination. The Summer SmARTS workshops can be taken for personal development, and some for college credit at the undergraduate or graduate level. When taken for college credit, the regular participant cost is often waived, in lieu of applicable tuition and fees. The workshops are listed below in greater detail. Click the title of the workshop to register now or get more information! An introduction to the highly creative and integrative Orff-Schulwerk process of music and movement education for elementary education teachers and students. Designed for beginners to the Orff-Schulwerk, experienced teachers who hold Orff Levels and want a different perspective are also welcome Led by Orff-Schulwerk specialist and Music Education professor, Dr. Pamela J. Stover. Sing, sing, sing! Improve your vocal technique, sharpen your sight reading skills and explore choral singing in a wide variety of ensembles in this workshop for choral singers going into grades 8 – 12. Led by choral director and professor Stephen Hodge, the workshop concludes with a choral concert featuring the pieces explored during the week. 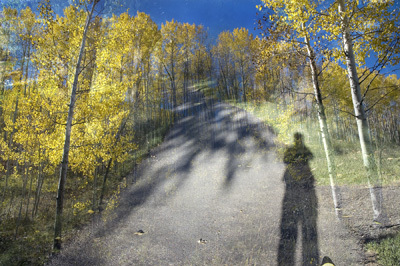 Deborah Orloff’s intriguingly surreal Holzwege series of photographs will fill the Crary Art Gallery in January. 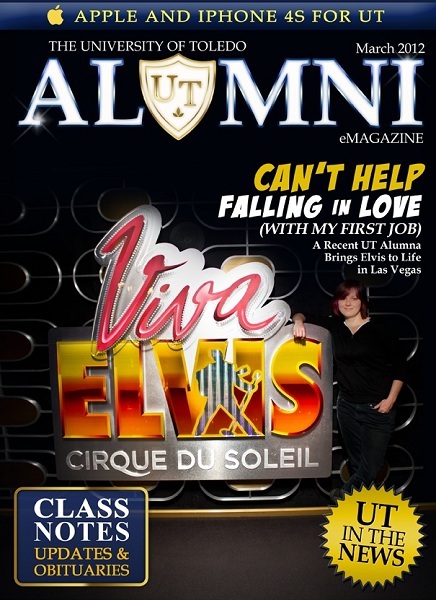 Ms. Orloff hails from Toledo, OH, where she teaches New Media at the University of Toledo. These works are deftly layered landscape images, arresting in their beauty, and cognitively topsy-turvy. Despite the visual confusion, we are drawn into them by a “holzwege” (a “holzwege” in German is a forest path leading to nowhere), inviting us – or stopping us abruptly – in these impossible and complex landscapes. Podcast interview with the artist. Podcasts about individual photos in show. Holly Hey, UT assistant professor of film, is celebrating the recognition of her film titled “Rat Stories” at the 2011 LA Art House Film Festival. She received an honorable mention in the Short Documentaries category. 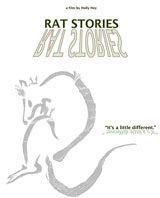 “Rat Stories” undermines stereotypes about the rodent to examine the importance of human connection in a variety of social contexts. “Like the rat is scorned within many cultures around the world, the human subjects within each rat story do not fit into the mainstream; and as a result of their detachments from social norms, they create their own countercultures in order to belong,” Hey said. The independent filmmaker is an experimental weaver of media who strives to provoke active relationships between her cinematic art and the diverse audiences that it reaches. 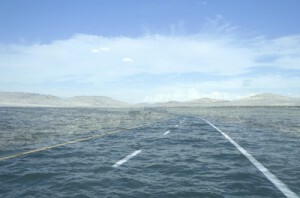 She employs a wide range of practice: single-channel work that is screened within film festivals, micro-cinemas and on public broadcast stations; mixed-media and installation art that is shown in galleries; and live performance and multimedia integration within performance art and the performing arts, including theatre and music. “Each practice is a unique opportunity to intersect or to undermine conventional methods for telling stories via the moving image,” Hey said. Hey holds a master of fine arts degree in filmmaking from the School of the Art Institute of Chicago and a bachelor of fine arts degree in photography from Ohio University. Her films and videos have shown at Autumn Lights in Los Angeles, the Mix Festival in New York, the Onion City Film Festival in Chicago, the Denver International Film Festival, the Athens International Film and Video festival, the Vancouver Queer Film and Video Festival, among other national and international venues. To learn more about “Rat Stories” and see a trailer for the film, click here. Major funding support for “Rat Stories” was provided by the Rhode Island Council for the Humanities, an independent state affiliate of the National Endowment for the Humanities. Meg Sciarini 2010 dual major Art and Film. 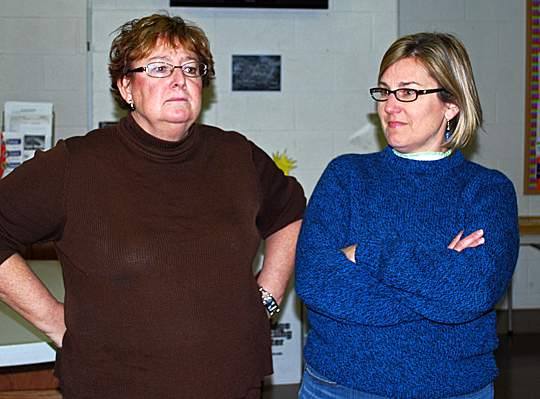 Annette Blair and Charlene Hansen hope to make a splash in the Waterville Playshop’s production of “The Dixie Swim Club,” which will be performed Friday through Sunday, Feb. 10-12, at the Maumee Indoor Theatre, 601 Conant St. Written by Jessie Jones, Nicholas Hope and Jamie Wooten, the play is about five Southern women who met on their college swim team and remain friends, getting together one weekend each summer to catch up. Jazz arranger and composer Mark Taylor will conduct the UT Jazz Ensemble Tuesday, Feb. 21, at 8 p.m. in the Center for Performing Arts Recital Hall.